We have the ability to bring together companies and specialized capital pools using our tailored solutions. IndiaNivesh also connects businesses to enhance value and take advantage of resulting synergies. We, at IndiaNivesh, have access to niche pools of capital spanning both Indian and global markets that invest in Indian companies. We are specialized in sourcing investment opportunities for venture capital funds as well as private equity. We also distribute and privately place other instruments – either sector specific or hybrid instruments. IndiaNivesh’s Merchant Banking services are capable of servicing diverse needs of institutional clients, entrepreneurs, investors and corporations, backed by strong research and execution capabilities. Our extended presence throughout India and renowned strength in institutional equities, portfolio management services and wealth management add to our capabilities. The merchant banking services that we offer include management and distribution of Initial Public Offerings (IPOs), Offer for Sale (OFS) and Small and Medium Sized Enterprise (SME) offerings. We believe in early partnership and a lasting relationship from inception to execution, and help with the growth and capitalization needs of our clientele. India is one of the fastest growing economies in the world and has captivated the imagination of many foreign enterprises. With our strong background in dealing with regulatory, compliance and other legal issues, we are ideally placed to help foreign companies find a foothold in India across several sectors. Our services related to facilitating entry into India include conducting market study to helping formulate business strategy and plans. IndiaNivesh can facilitate Joint Venture (JV) partnerships, locate and appoint key personnel, establish manufacturing and commercial infrastructure, address legal and regulatory issues, board presence and monitoring. With our strong background in institutional equities, merchant banking and capital markets, we are ideally placed in helping Indian companies find new horizons abroad. Indian companies looking for Joint-Venture partners or strategic acquisitions abroad, or technology transfers can benefit from our years of experience and knowledge in acquisitions and alliances. Our special focus on European markets enables us to help Indian companies gain leverage in the continent. IndiaNivesh’s Corporate Finance activities are largely advisory in nature and mostly geared towards meeting the Funding requirements of SME businesses, from domestic & international markets. 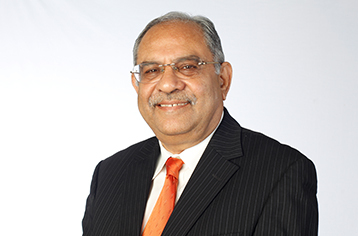 Over a career of more than four decades, Girish has helped in the establishment of pioneering start-ups in the financial services sector. He has held leadership positions in HSBC, HDFC Securities, Citibank and UTI. He is also a board member of Indian subsidiaries of several foreign companies and has served on the board of The EuroIndia Centre, a body founded by the Prime Ministers of India and France. Girish’s specialization is in connecting international capital and companies to domestic Indian businesses. Girish has a Master’s degree in Business Economics and is also a fellow of the Royal Institution of Chartered Surveyors, UK. Narayan has over two decades of experience in bringing together international institutional investors with opportunities in the Indian capital markets. 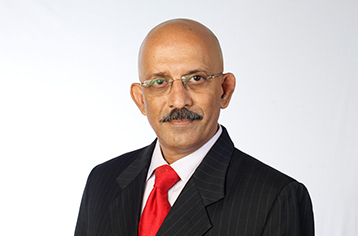 Previously he held senior positions at DSP Merrill Lynch, CRISIL and the Bajaj Group. His experience spans credit and risk evolution across multiple sectors. Narayan has to his credit several maiden international capital raising transactions. He has a post graduate diploma in Systems Analysis & Design (UK) and also holds a Bachelor’s Degree in Electrical Engineering.